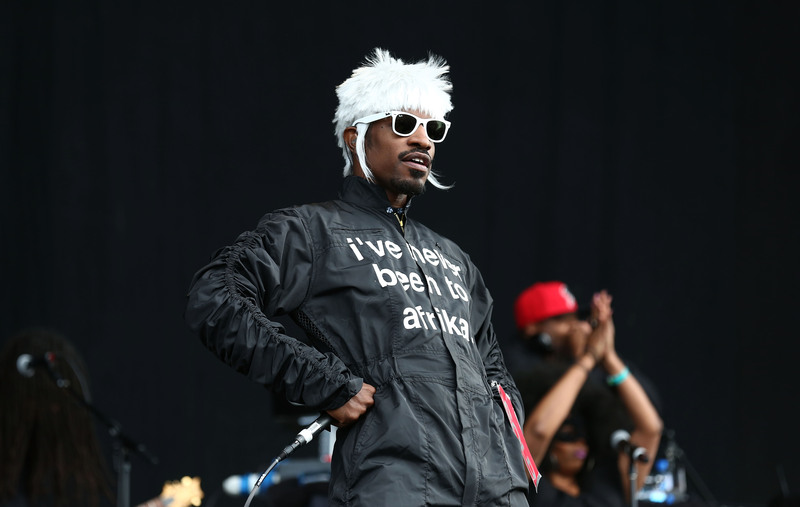 If you were heavily anticipating any further proof that Andre 3000 is most definitely going to be playing the legendary guitar player Jimi Hendrix, then look no further. You can now see the first poster for Jimi: All Is By My Side , the not-totally-authorized Jimi Hendrix biopic starring the very talented Outkast member, who's going by Andre Benjamin (his professional actor name) for the film. The poster is indeed trippy looking, but what else would you expect? Now 'scuse me, while I kiss the sky. Well, not quite. If you haven't been up-to-date with the production for this movie, I'll get you up-to-speed on one major caveat that the film has to deal with: the music. Apparently, the film will not feature any of Jimi Hendrix's music, as Experience Hendrix LLC, which is operated by Hendrix's sister, Janie, possesses the rights to the music, and they didn't grant permission to any Hendrix biopic, as Screenrant reported back in March. However, writer and director John Ridley — who obviously knows his stuff, given that he wrote the Oscar-winning screenplay for 12 Years A Slave — decided to carry on with the movie, largely in part because of Benjamin's clearly on-point performance. So! This movie is well on its way. You can take a look a the poster below. Now if you will — 'scuse me, while I kiss the sky.